Nutrient dense foods are the most healthy foods we can eat for one simple reason: they contain the most nutrients at a very low caloric cost. This means that we can get all the nutrients we need from these foods to perform at our best, while at the same time losing weight in the case of most people. Many people in the west are unhealthy because of a poor diet. This diet consists of foods high in calories that come from sugar, trans fats and saturated fats. These foods lead to diseases like obesity, diabetes, and various cardiovascular diseases. Dieticians and nutritionists agree that one of the most important aspects to living a longer, healthier life lies within eating a diet that is rich in micro and macro nutrients while remaining low in calories. This doesn’t mean that you need to count calories, however chances are that you need to make some changes in your diet to make a significant health improvement. 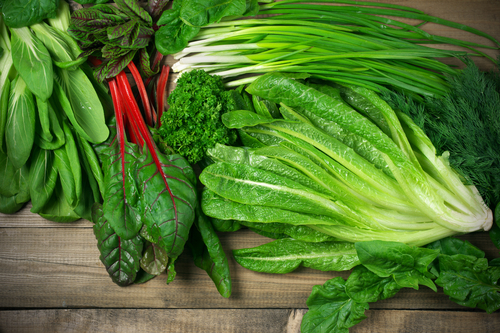 Not eating enough vegetables is arguably the biggest problem with the western diet. Many people view vegetables as nothing more than a complimentary addition to a meal, and many people don’t end up eating them anyway. You can’t really blame people for not wanting to eat the piece of iceberg lettuce or slice of tomato on their sandwich, as they are bland and tasteless. Luckily, not all vegetables taste as bad. As far as what the best ones out there are, as a general rule the darker the better. The darker coloration is an indicator of a higher concentration of anti-oxidants which are what we are looking for. Darker greens tend to have more flavor too. If eating a salad consisting of only green vegetables doesn’t seem appetizing to you, there are other healthy ingredients you can add to it to give it some flavor. Slices of apples, sweet potatoes, dried cranberries, raisins, nuts and seeds are all examples of other nutrient dense foods that you can add to it. Green bell peppers are not a bad choice either, but the other three varieties are much more concentrated with anti-oxidants. The red variety in particular contains over 300% of the daily recommended value of vitamin C in just one pepper, making it one of the best sources of vitamin C we have available. 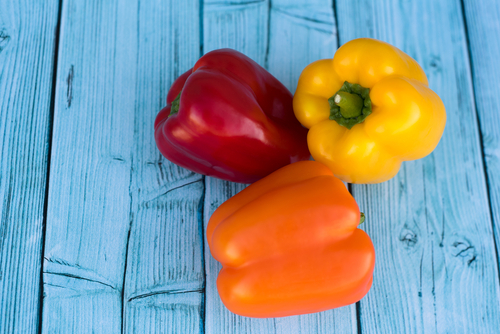 The yellow, red and orange varieties of bell peppers are also rich in vitamin A and other carotenoids, another powerful anti-oxidant. This is what gives the peppers their color, so again the darker the pepper the rich it will be in carotenoids. 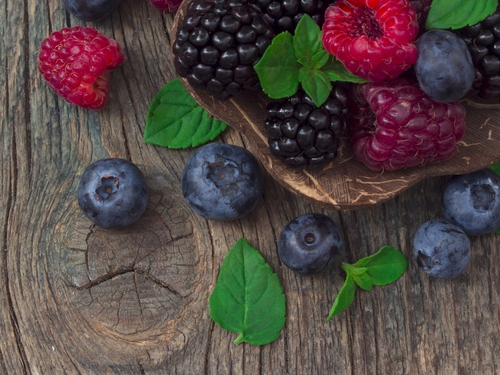 Berries in general have are nutrient dense, however blackberries, blueberries and raspberries are the best when it comes to antioxidants, vitamins and other minerals. Many people don’t view berries as a healthy food because they do have a decent amount of sugar, however their high content of fiber more than makes up that difference. Berries in particular have shown an ability to protect brain cells by delaying their deterioration and improving cognitive capability in the long run. It may have something to do with their ability to relax blood vessels, which can opens them up to better facilitate blood flow. Potatoes have been given a bad reputation as of late because of how unhealthy potato chips, French fries and other potato based foods are typically fried in fatty oils to make junk food. On top of that they are naturally high in calories themselves, making them something many people would avoid altogether. Potatoes can be an extremely healthy food however, and if you have eliminated them from your diet altogether you’re missing out on one of the more nutritionally dense foods out there. Potatoes are a food you should be eating because they are very versatile in the nutrients in which they provide. They provide a good amount of vitamin C, vitamin A, most of the B vitamins, potassium, magnesium, iron and copper to name some of what they provide. Potatoes are a great additive to most meals because of the diverse nutrients that they provide, and can supplement almost any meal. Another great thing to know about potatoes is that although they do contain a lot of calories in the form of starches, we are not able to digest them all. This means that the ones we can’t just pass through our digestive tract without getting absorbed in to the system, preventing some weight gain. Is USPlabs’ Modern PROTEIN Effective?